(CNS): Asconcerns rise that Cayman could see a surge in chikungunya virus and dengue due to a outbreaks and growing numbers of people being infected with both disease around the region the Mosquito Research & Control Unit (MRCU) is conducting targeted aerial operations over some 12,000 acres of mosquito-breeding swamp areas on Grand Cayman from Thursday. The mosquito attack will involve low-level flights during the mornings and late afternoon. The operation will start in the area of West Bay and finish on the north side of the island. Weather permitting; the full application should be complete within ten days. The distinctive red and white MRCU aircraft will be applying the small pellets specifically designed to target mosquito larvae developing in aquatic habitats; this means preventing the occurrence of biting mosquitoes. Once the rains begin, the pellets are activated and will provide control for up to two months. Low-level flights over specific areas are necessary to ensure that correct application and successful control of mosquitoes is achieved. This is the third island-wide treatment this year, on Grand Cayman, and the Sister Islands. This will assist in providing control through the Christmas period to January next year. Some 12,000 acres of swamp are targeted in this operation in Grand Cayman, 320 acres in Cayman Brac and 475 acres in Little Cayman. 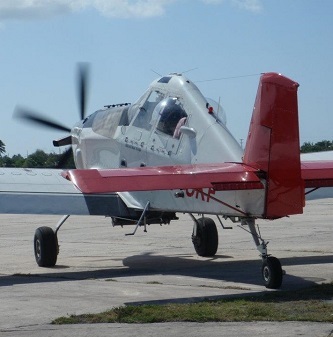 Due to elevated mosquito breeding in Little Cayman, the aerial application in the Sister Islands was completed several weeks ago which is slightly earlier than usual. Further information and daily schedules can be found on the Mosquito Research & Control Unit’s Facebook page or website www.mrcu.ky. A daily update of the areas being treated will also be available on those sites. Have you thought why the Dart Landscape Designers seem to like gaint bromeliads so much as they are like living water buckets? These plants are notorious mosquito nurseries. You might be concerned about the health effects of the spraying but I assure you the good guys at MRCU will tell you its a perfecly safe condiment for your hot dog or flavoring for your ice cone. Come now, which is worse, a very very very slow chemical poisoning or a dose of dengue, chickungunya, or even malaria perhaps? You probably injest more pesticides in the high priced organic veggies you eat every week. Hot dogs at Camana Bay?!? $800 per night for a mosquito bite! Let's face it tourists and swamps don't mix. We have so much wet land in the central and eastern mangroves that do we really need to have so much swamp around the main tourist development area of Seven Mile Beach? I can read it now – Come to the Cayman Islands and stay just feet away from fowl smelling, mosquito infested swamps and for your $800 per night you too can come back from your vacation covered in bites and even, if you are lucky, dengue or chikngunya to make the whole expereince more memorable. I felt so bad for my dogs last night…the mosquitoes outside were so thick…I don't know what I could do to help them…any suggestions? Saw them out this morning, boy can those boys fly. Still not absolutely 100% sure in my fuddled mind if dive bombing mosquitoes is going to work. They need 50mm cannons, that'll do it every time, and don't forget, come out of the sun, buggers won't see you then!! Maybe the plane should spend more time over the swamp and not dive bomb the Crescent at Camana Bay. I watched in horror as the plane released spray over the area on Monday the 10th of November as scores of peoplewere drinking and eating in the area on the Crescent. The MRCU plane also dive bombed the soccer field at Cayman International Scool yesterday evening while kids were playing soccer on the filed. They had to cover their heads as they were bombarded by small white pellets. One child dared another to eat the pellet and kids were picking them up to see what they were! There is photo evidence of this. Is it dangerous to eat the small candy looking white pellets? Unbeliveable MRCU! – OH I forgot I live in Cayman! And one wonders why we have such a high cancer rate here??? Camana Bay is situated smack in the middle of a swamp. So there is bound to be some collateral fallout. When I say the plane dive bombed the Crescent I mean he flew over top of the building with the gelato shop & Starfish Village in it and sprayed the concrete and crowd. No mosquitos were endangered on that pass. It is unexplainable. The link to the spraying schedule at http://www.mrcu.ky is broken. As everything else is broken here. Try to see if a plane landed or departed in real time. too little too late…..thank you ppm…..
Why not go to their website and see? There are at least 36 species of mosquitos in our islands. Most prefer fresh water breeding – some can successfully breed in brackish water. The MRCU can only hope to control – they will never eradicate all mosquitos. If MRCU ceased their airborne strategies (even for a season), we would quickly revert to cattle-suffocating pre-Giglioli levels where nobody could safely go outside. The Yellow Fever, Dengue, and Chikungunya vector species, Aedes Aegypti, are difficult/nigh impossible to control from the air as they breed in close proximity to human habitation – and feed almost exclusively on humans. It is up to everyone to check their yard and empty any liquid-holding containers, crab holes, water bowls for pets/birds, etc. For your family's protection, call the MRCU if there is any doubt. A variety of Larvicides and Adulticides are deployed to suspect breeding habitats near to populated areas of the islands – some of the more potent counter-measures are applied by fog or by hand. And Little Cayman? Terrible skittas over there. Is a mozzie the same as a skeeter? A "skeeter" is a bass boat. A "mozzie" is a miskitta that was raise up in the mother country.